Dr.S.Chadrashekhar was born on October 19,1910 in Lahore.he did his school,Collage and Post-graduation from Chennai (Madras),Since childhood,he was an extra ordinarily brilliant student.He was deeply interested in mathematics.In every class,he stood first.Apart for studies,he was also interested in reading and knowing about science. He completed his graduation (BA) from the Presidency college,Chennai with physics.He was a voracious reader during his college days and the university library provided him the necessary books.After completing his BA at the age of 18,he wrote his first research paper,which was published in the Indian Journal of Physics. Thereafter during his post-graduation many of his reseach paper were published which inculded one published in the Royal Society of London,a rare honer on then.In 1930 , at the age of 20,he cleared his post-graduation with a "first class first" from Chennai University. After his MA degree from Channai University, On getting a scholarship for further studies from the Government of India, he went to England in 1930 and began research work at Trinity College,Cambridge.At Cambridge University,he studied under Dirac.During his study there,he gained respect form his teachers,On the basis of merit he was awarded the Sir Isaac Newton Scholarship.Later,he received the Trinity College Fellowship.He also gained recognition as an able astronomical scientist. In 1936 ,he received his PhD degree from Cambridge University.The next year he left England For America.Here he joined as research associate at the Chicago University Observatory. Chandrashekhar came in contact with Ottostrev, a great astronomer and director of Yerking Observatory in Wisconsin.Here he undertook research for one year with him.Thereafter ,he was invited to join as professor by Chicago University.He accepted the offer ans served there as professor from 1938 to 1947. 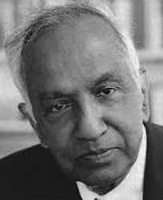 Chandrashkhar's popularity as teacher and researcher soon began to spread.In 1944,the Royal Society of London elected Chandrashekhar as Fellow ans honoured him.When he was professor at Chicago University he drove 160 Km's every week to Yerking Observatory to lecture just two students Tsung-Dao Lee and Chen Ning Yang. Some people even wondered why chandrashekhar took so much pain for just two students? Originally Chinese but, who later became American Citizens,these two were exceptional students.These two researchers were awarded the Nobel Prize for Physics in 1957.It is but natural for professors to enjoy teaching such bright students.It is great experience for any person to receive the Nobel Prize.The institution, its members and the entrie country of the Nobel Prize winner feel proud.And more so for a teacher when his student is awarded the Nobel Prize. From 1947 onwards Chandrashekar was appointed as a professor of astrophysics at Chicago University.In 1952, he became editor of the Astrophysical journal. As a scientist he excelled in various fields. He explained with ease topics like of formation of stars. their life span ans various other principles relating to them.His contribution in the research of plasma Physics is also vital.In 1960,Chicago University arranged a lecture by Chandrashekhar on plasma physics. Scientists had concluded by early 1930 that after converting all of their hydrogen to helium,star lose energy and contract under the influence of their own gravity.These stars known as white dwarf stats contract to about the size of the earth and the electrons and nucleus of their constituent atoms are compressed to a state of extremely high density.The limit known as Chandrashekhar limit-was determined by him which meant that a star having a mass more than 1.44 times that of the sun does not form a white dwarf but instead continues to collapse,blows off its gaseous envelope in a supernova explosion and become a neutron star.An even more massive star continues to collapse and becomes a black hole.Further,these calculations help to understand the stat of supernovas,neutron stars and black hole.For his research and contribution in various fields,his admirer and world famous astrophysicist Ottostrev has truly said "Chandrashakhar is like the white ray of the sun, which has seven color in it" .Though he has contributed in various fields,Chandrashakhar called himself an astronomer. Based on his research he has brought out four volumes.The Chicago University published two of these.Oxford University Published the third volume.And the Royal Society of London awarded the Royal Medal to the fourth volume.In 1952, he was awarded the "Bruss" gold medal. In 1957,he was awarded the Rumsford Medal by the Art and Science Academy of America. In 1983,Chandrashakar and William Fowler were jointly awarded the Nobel Prize in Physics for their principles awarded the Nobel Prize in Physics for their principles on the birth and death of stars. music.This great scientist died on August 21, 1995. Astronomers the world over will always remember him and his research Work.